Last Tuesday, I’ve asked my husband to go to Mercury Drug to buy my medicine and when he got home, he gave me my medicine and another plastic. Hubby: Ewan ko. Binigay lang yan e.
I checked the plastic and I was surprised to see this “Suki Day Book 2013”, I was expecting that it was a planner so may hirit pa ko na, bakit ngayon lang tayo binigyan e February na. God knows that I’ve been a loyal customer of Mercury Drug ever since I became a psoriasis patient, so it’s been 10 years already. You can write your personal medical record, family medical tree and blood types, medicine and vital signs tracker and insurance and care providers so just in case of emergency, you have all the information. In addition I have discount coupons. 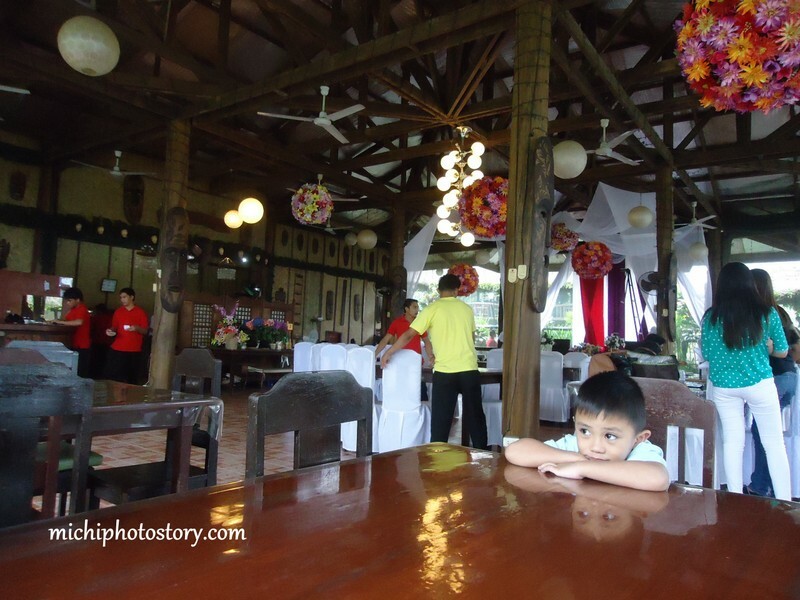 Pina Colina Resort has no complimentary breakfast but they have breakfast meal at P150. 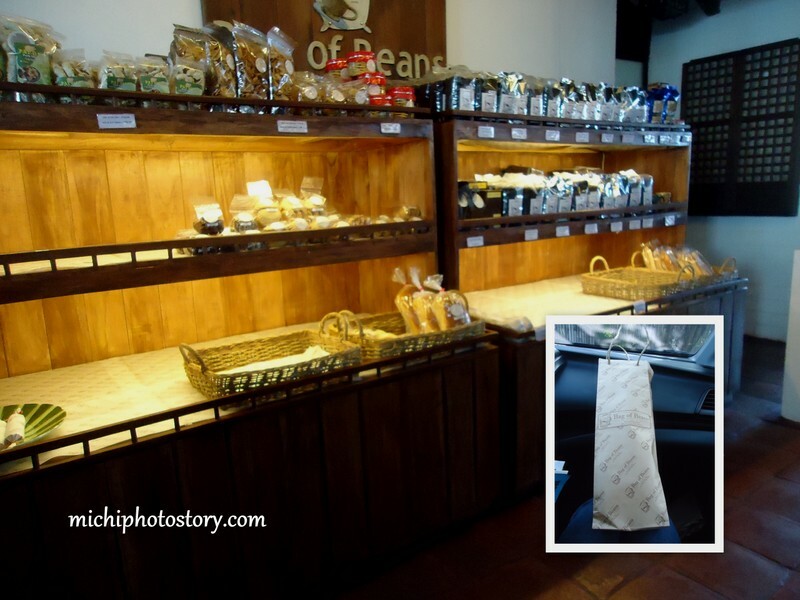 We decided to eat somewhere else so after check-out we went straight to Bag of Beans. 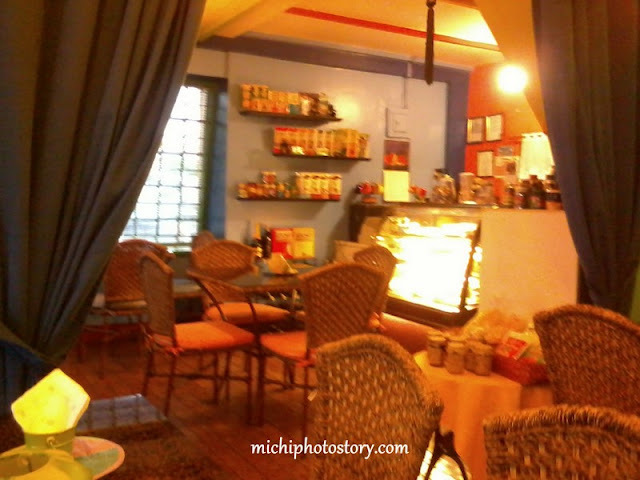 They have two branches and the nearest one from Pina Colina Resort is in Olivarez. It is small compared to the original branch. It was Monday so there were few customers. This was our second time in Bag of Beans, yung first time almost three years ago na. hehe! Read the story here, why it took us so long to try this restaurant again. 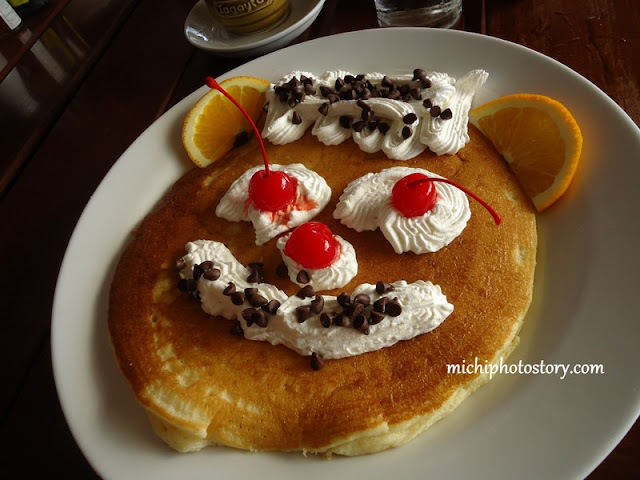 We ordered Funny Face Buttermilk P130, Pork Tapa P220, Chicken and Pork Adobo P220, Hot Chocolate P115 and Café Mocha P120. 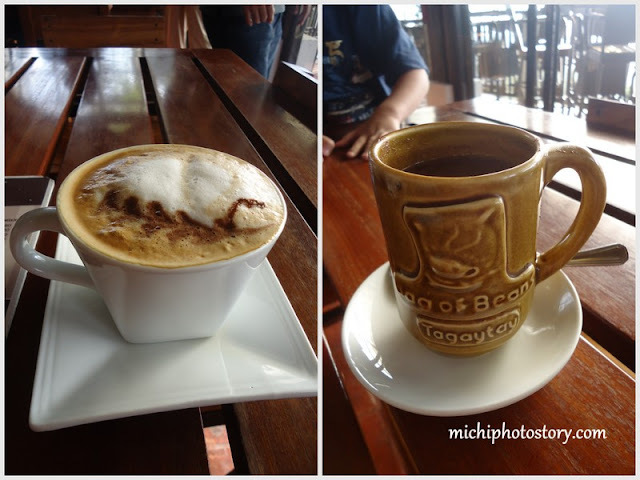 They have big servings but the taste of food is just ok. We disliked the drinks, café mocha is too bitter and hot chocolate is too sweet. 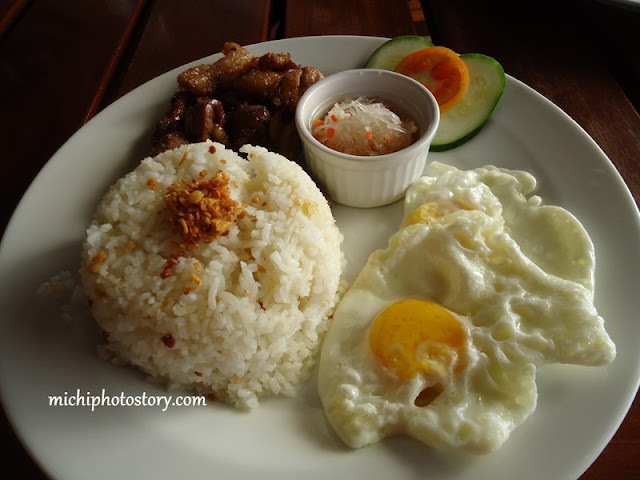 Considering the amount of money we spent for this breakfast, I had this feeling na sana nag fastfood na lang kami. #overrated yata ang mga reviews na nababasa ko. Well, it is just my opinion. But we bought raisins bread P140 (small) again. As I mentioned in my other post, we don’t have travel plans this year and no definite plans where to celebrate our wedding anniversary. Last week my son was not feeling well so we’re not really planning for our celebration, we just decided to eat somewhere. 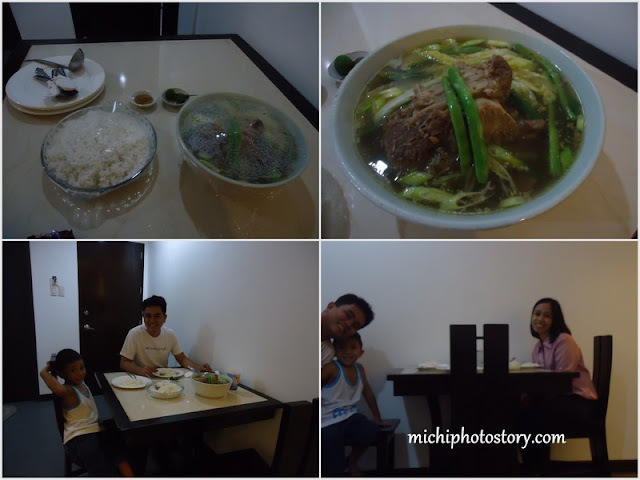 Sunday came and my husband decided to celebrate, he wanted to go to Batangas but we can’t go there because my son has class and he can’t afford to be absent again because final exam is near. I know that he missed a lot of lessons during his five days of absences. 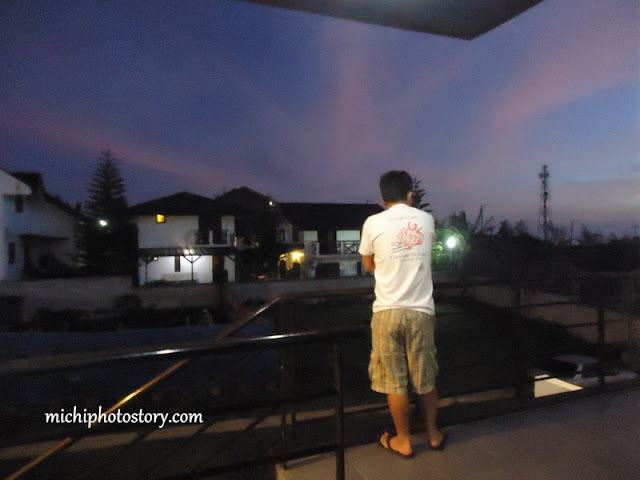 After breakfast, I was still scouting where to spend our wedding anniversary somewhere near, either Tagaytay or Alabang. 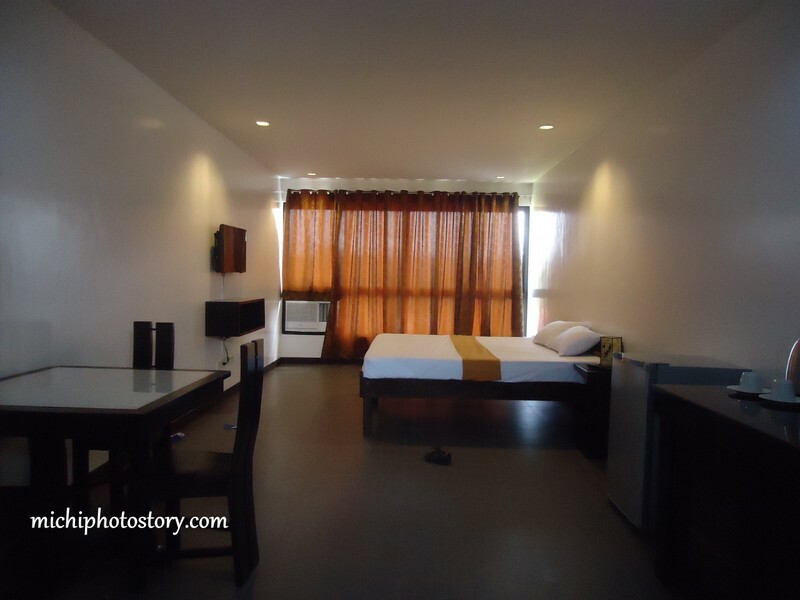 We ended up with Pina Colina Resort; most of the rooms were fully booked so we have no choice but to book the remaining room which is Premier Studio. 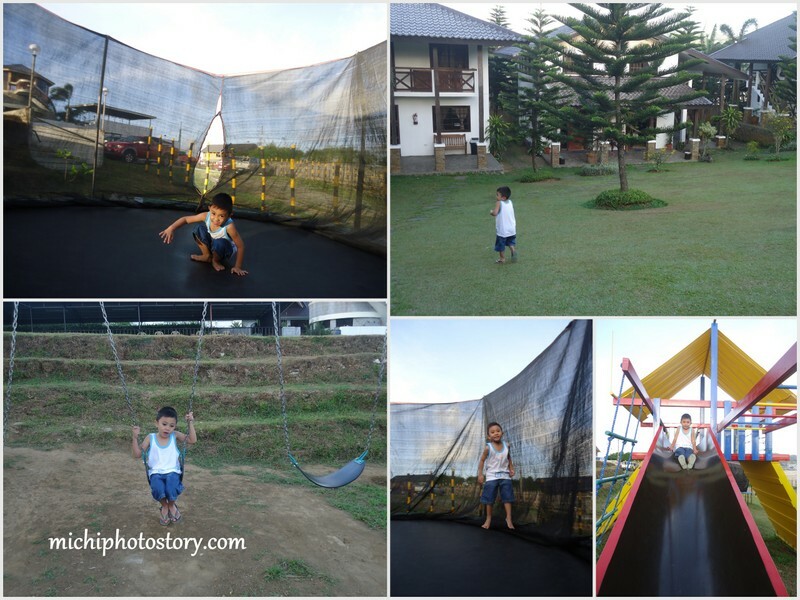 I packed our things and off we went to Tagaytay. 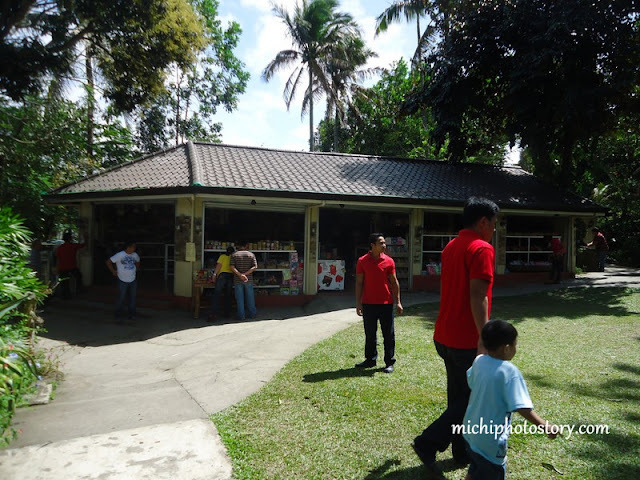 On our way to Pina Colina Resort, we had quick lunch in Balinsasayaw. 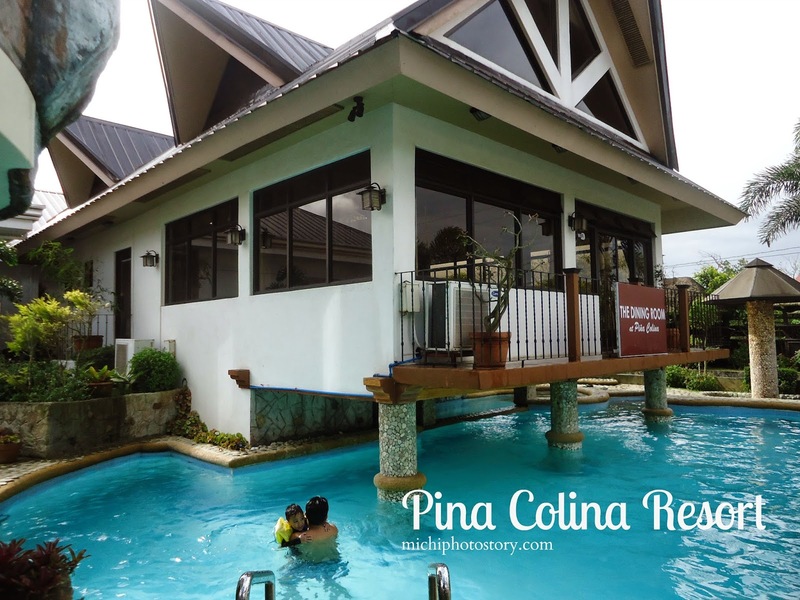 I must agree that Pina Colina Resort is your affordable Tagaytay Hideaway because the rate is affordable especially if you are in group. 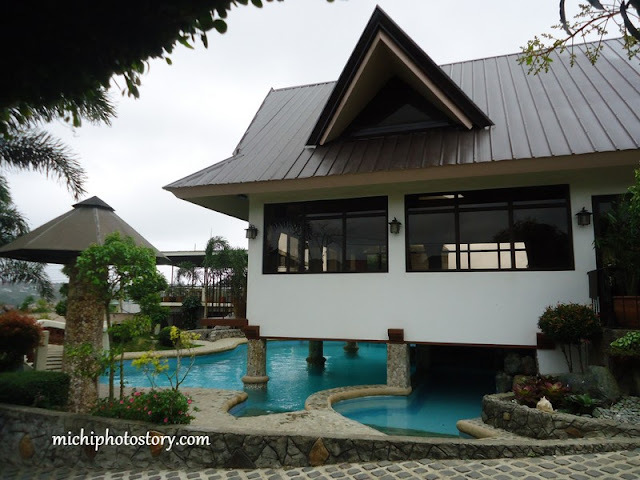 You can stay here for your team building, family reunion or wedding event. The resort is still under construction due to expansion but as of now they have swimming pool, Jacuzzi and playground. We reached PCR past 2PM; we left our bags and immediately went to swimming pool. I can’t remember the last time we swim so my son really missed swimming. obvious na happy siya. wagas ang ngiti. After being stuck at home for almost a week, he missed the outside world so he played. They have restaurant there so we just ordered bulalo for our dinner. We checked-out early because we need to be in school by 10:30am. 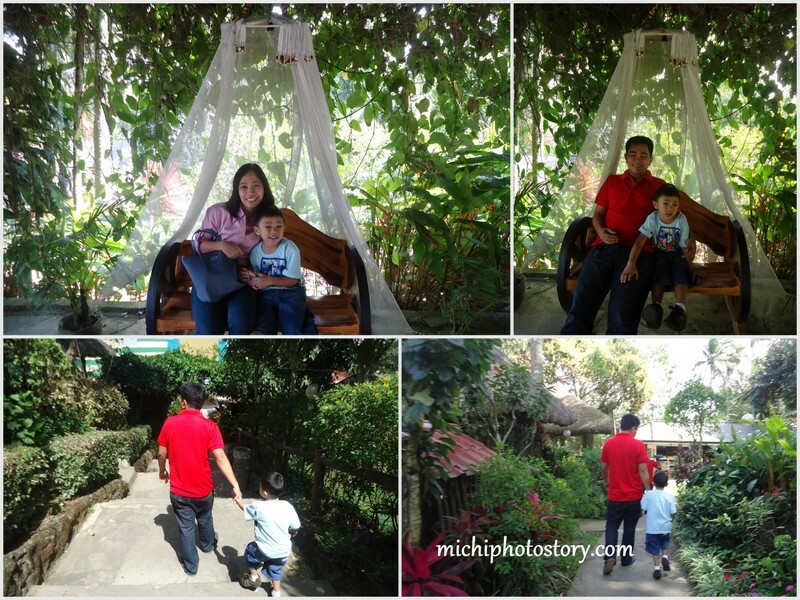 Overall, we enjoyed our short weekend getaway. 2. Big room with dining table and kitchen. 3. They have a mini sari-sari store where you can buy drinks and snacks at a reasonable price. 4. You can bring food and drinks without a corkage fee. 1. Bed and pillows aren’t soft so better bring your own pillow. 2. No towels and free toiletries. 3. No telephones and wi-fi. My husband went to the restaurant to order our food. 1. From SLEX, take the Sta. Rosa exit. Turn right after the toll booths going to Tagaytay. 2. After 20 - 25 minutes, along Sta. 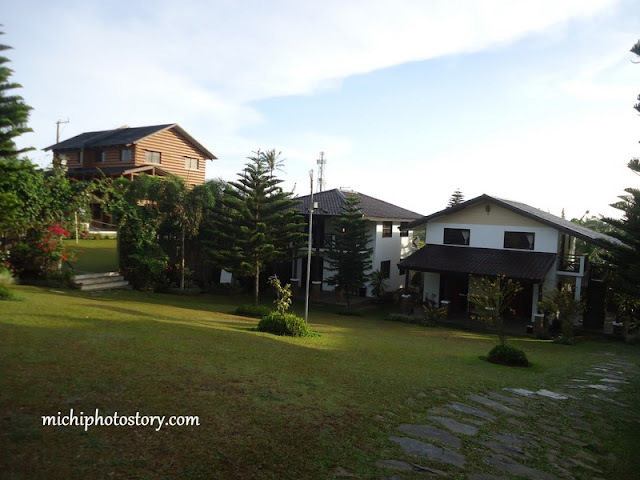 Rosa - Tagaytay Highway, slow down after you pass Ming's Garden on the right side of the road. Drive for about 350 meters more. 3. When you see the big, green Tagaytay Haven Hotel signage, turn right on the road just before the signage. There is a blue & yellow waiting shed on the corner. 4. After turning right on this road (Ulat road), go straight until you hit a road on the left. Turn left on this road. 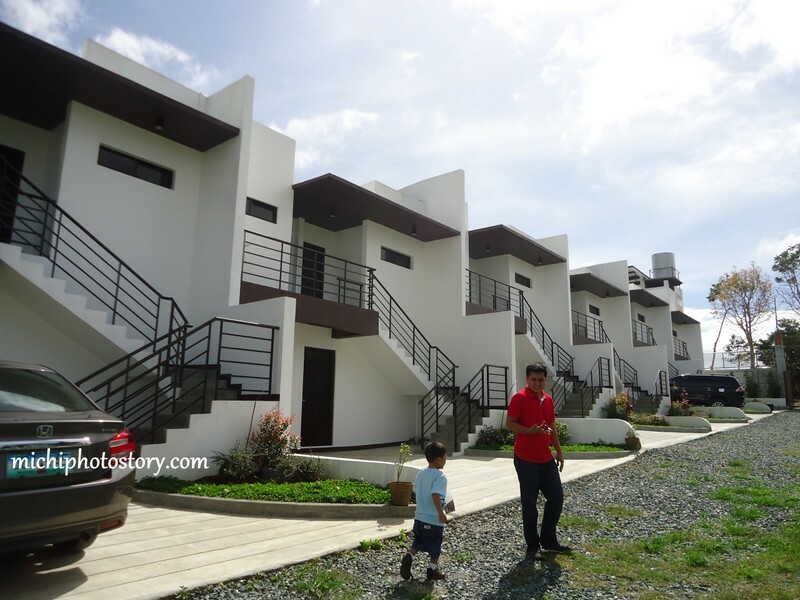 It's an uphill climb going to Piña Colina resort which is on the left side. 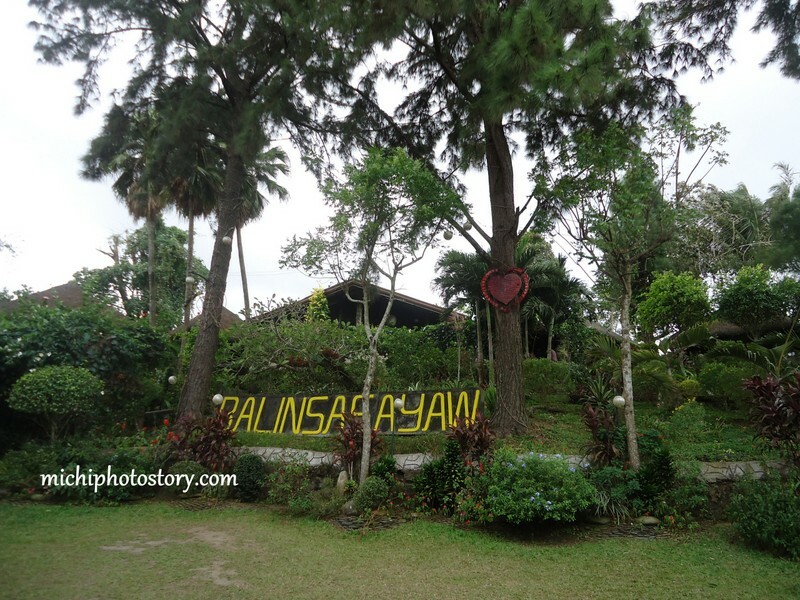 Whenever we go to Tagaytay we always passed by this Balinsasayaw restaurant and parking is always full. We’re really curious why there are so many diners who visit this place because looking at the façade, it is not inviting. 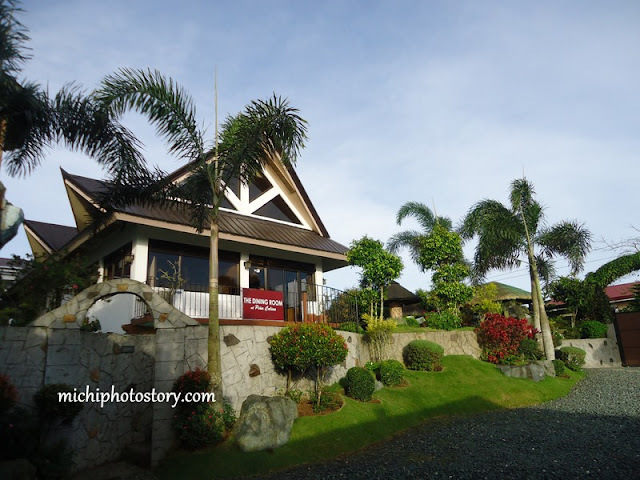 Out of curiosity, we visited this place to have our lunch before going to Pina Colina Resort. I was surprised to see the entrance, hindi kasi siya kita sa labas. 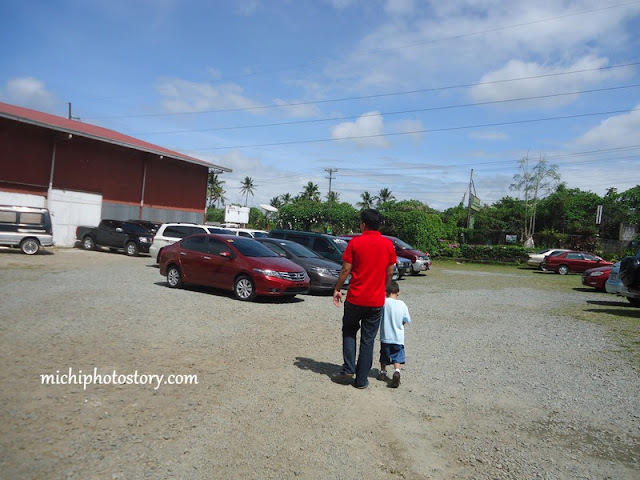 The parking is spacious, restaurant is big, ambiance is good and they have souvenir shop too. 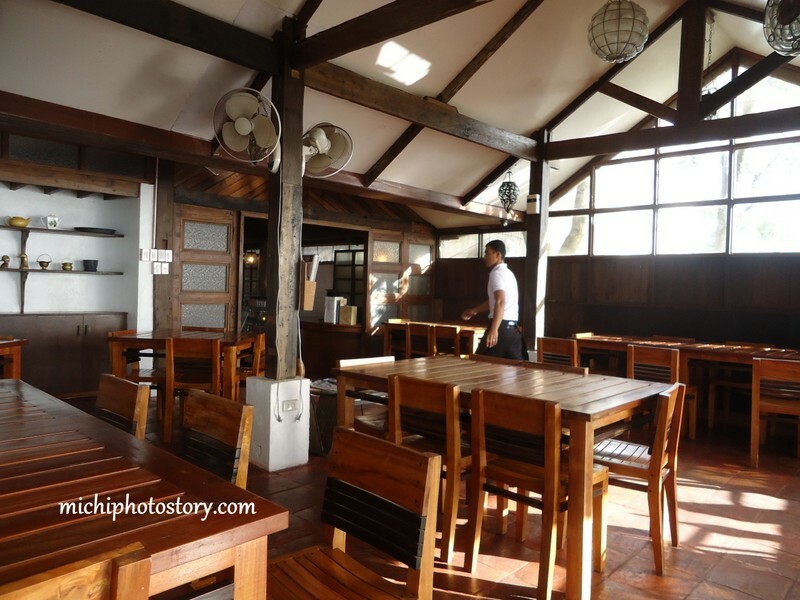 Since it was lunch time all nipa huts were occupied so we settled in their main dining area. 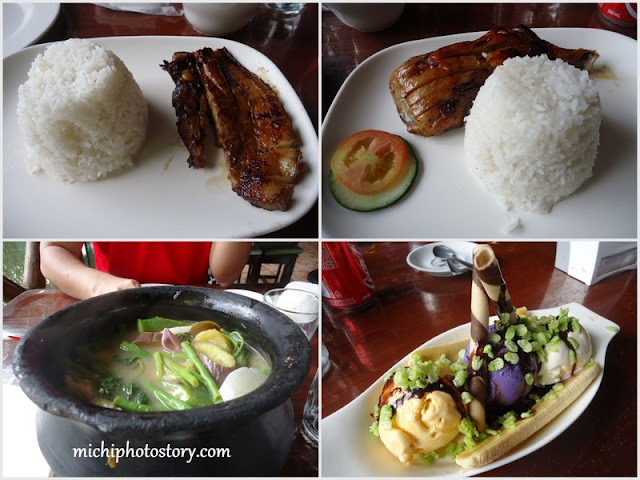 They have balinsasayaw and bilao packages good for big family and barkada but since we’re only three we ordered set meals, grilled liempo P89, grilled chicken P89, sinigang na salmon P285 and banana split P165. 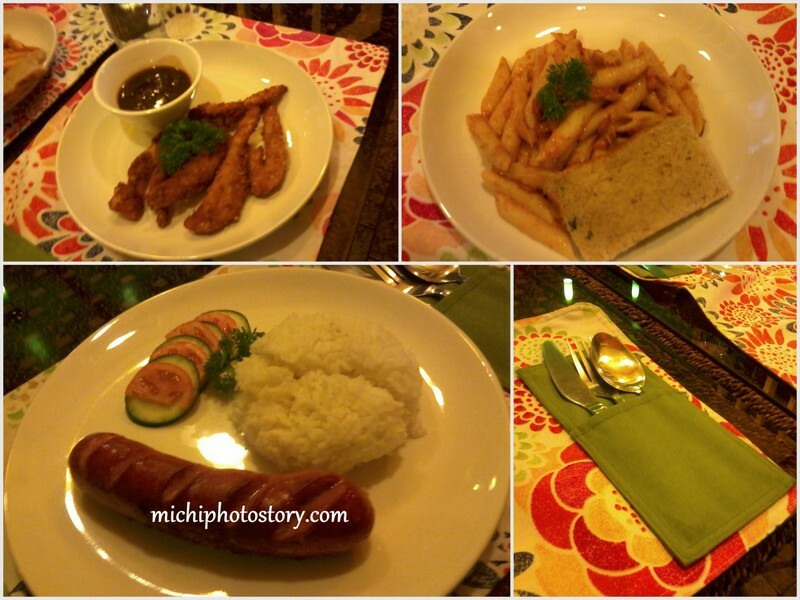 The food and service are just ok. Price is very reasonable. The only problem with this restaurant is we need to shoo the fly while eating. 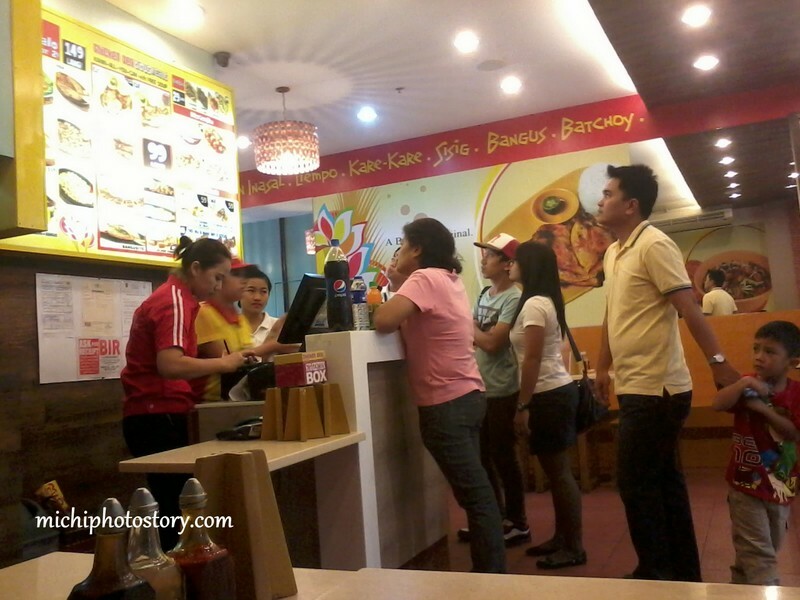 Chicken Deli is one of the newest restaurants in SM Sta Rosa and we’ve tried it last Saturday. We ordered the sulit meals which is good for two and additional order of chicken. This is really sulit meals because you can eat kare-kare for only P159, with free soup and rice all you can. You can have drinks for additional P10. We like the kare-kare but not the chicken. 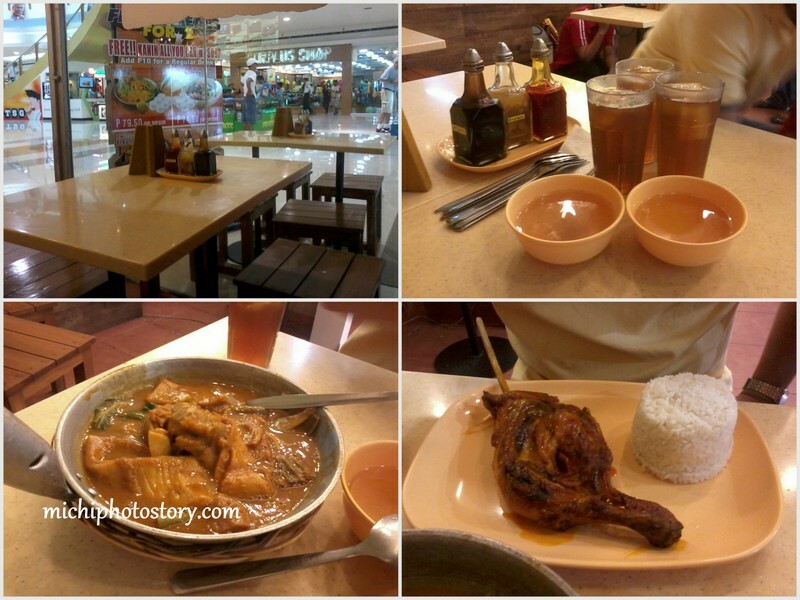 After two years we revisited Chicken Deli restaurant in SM Sta Rosa. It was time for lunch so most of the restaurants and fastfood were crowded and good thing Chicken Deli was not yet packed. 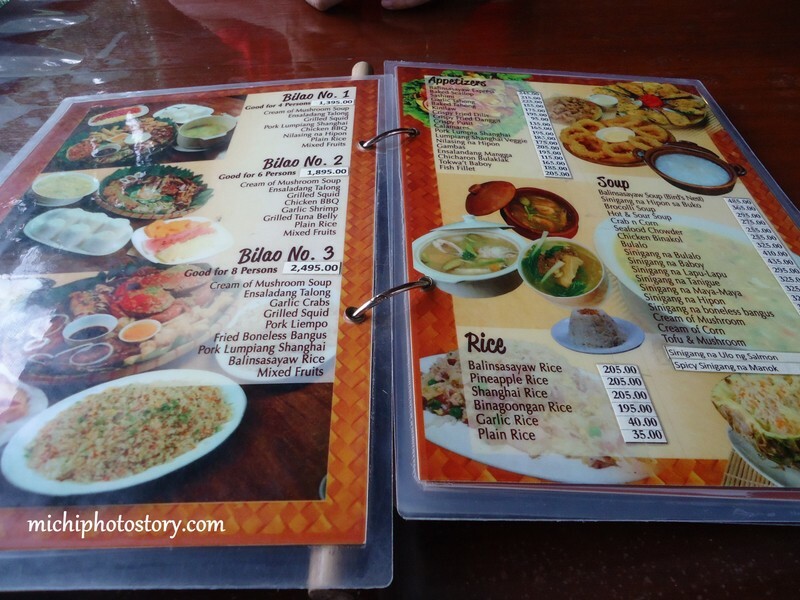 They still offer meal that is good for two persons plus free soup and unlimited rice. We ordered the Liempo P209 and BBQ meal for my son. The price is affordable and taste is just ok. If you are looking to give your kitchen supplies an upgrade that makes a large impact in preparing meals, you might want to consider your kitchen cutlery. Knives are a vital component of the kitchen, no matter whether you are a home cook or a top chef. Few items are handled and used so frequently during meal preparation. Before you head to the knife store, take a moment to consider the knives you purchase. 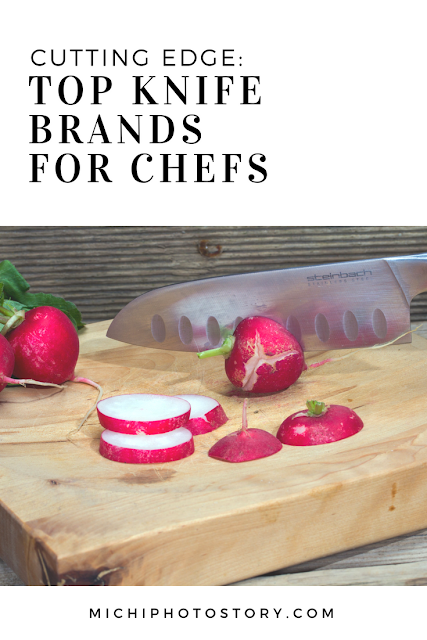 When you visit the knife and kitchen store, one thing that you quickly notice is the number of different cutlery brands selling chef knives. When it comes to making a selection, you may be tempted to simply buy the best knife you can afford. However, unless you know the aspects that make one knife better than another, you may end up simply buying the most expensive knife that you can (and expense does not necessarily equate to quality). Familiarize yourself with the anatomy of a good knife beforehand, and research things like the bolster, the bevel, and the tang that best suit your needs. A little extra work on the front end ensures a successful purchase at the knife and chef store. Knives are critical tools in any kitchen, and one of the first things that should be targeted in your kitchen is supply upgrade. You likely spend more time using a knife than you realize during meal preparation, so it is easy to understand why selecting a top brand is important. With just a little research, you can rest assured that your new knife lets you slice and dice like a pro. 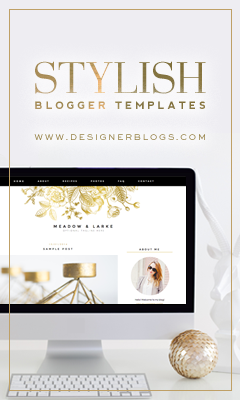 Now, I’m celebrating my 2nd year blogversary. I can’t believe that I’m blogging for two years already and though I have very limited time now I’m still trying to update this blog. 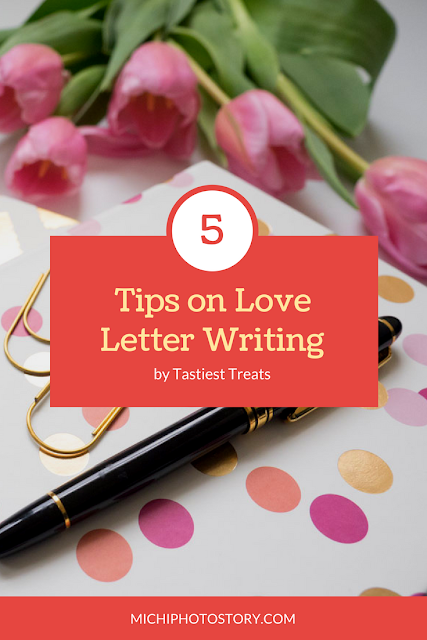 Thank you to all my readers who still read and comment on my blog post. In the span of two years I’ve gained new ideas, met online friends and learned lessons through blogging. I’m sharing to you my experiences and lessons that I’ve learned so far. 1. If you still remember my very controversial Cebu’s Lechon post, that was the first time that I received negative comments after six months of blogging. Somehow it affected me but thanks to all the comments that I’ve received because it enlightened me. 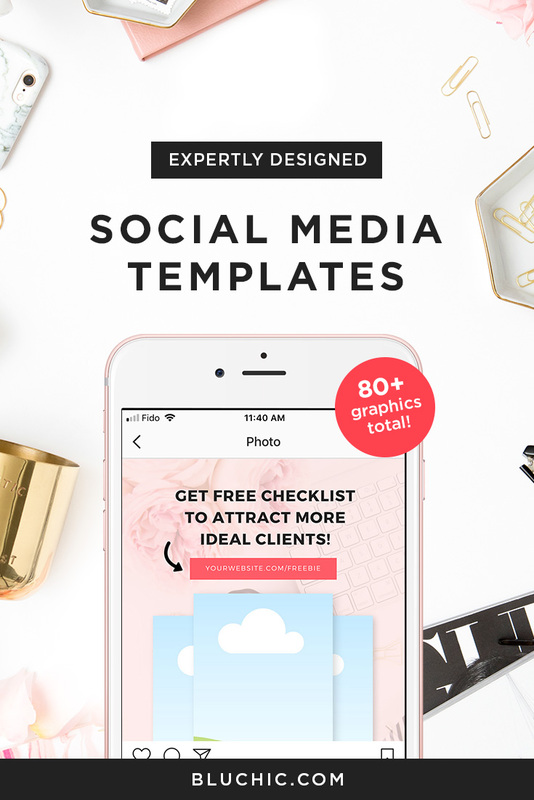 I know that I’m just giving my honest review and I’ve realized that negative comments are inevitable and you just have to live with it as long as you are in blogosphere. Click here to read more. 2. Last year, I attended “Healthier Moms, Happier Kids” event . It was the first blogging event that I’ve attended because it fell on weekend schedule. During the said event, I feel so out of place because I don’t know any blogger there and most of them are talking about events that they have attended and events that they are going to attend. I can’t relate and it seems that they have known each other for so long. I seldom receive invites but most of the invitation I received I declined. I’m not fond of attending event because the location is always NCR, schedule is always weekday and I feel that it is not my thing. There are bloggers who enjoy attending event and I’m not one of them. 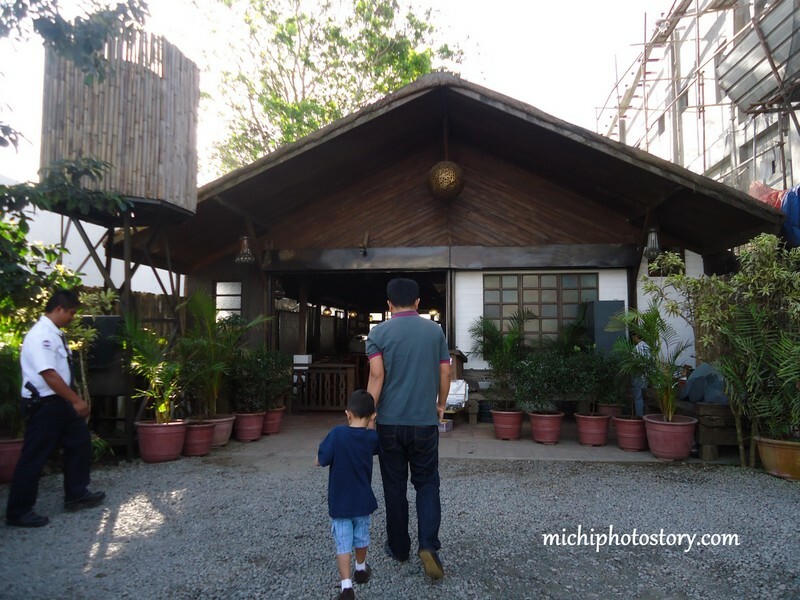 I realized that attending blogging event is not my priority because I started this blog to share our family story not events. Don’t get me wrong, if there’s one good event and if I have spare time I will attend again. 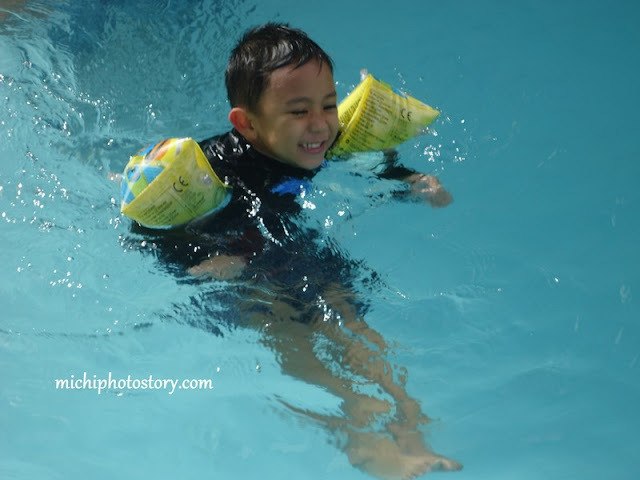 I’m a full time mom without yaya so it is nearly impossible for me to enjoy attending events. 3. Last August, I had Favordeal Giveaway. I received an offer to host jewelry giveaway. I google the site and I’ve seen that I’m not the only blogger she tapped to host the giveaway and it looks legit so I said yes, but when the giveaway has ended, this girl is not replying anymore and I kept on sending my message stating the name of the winners and chosen prizes. It took them a month to ship the prizes and last month I received an email from one of the winners. She said “kulang ang nareceive niya”. I email again my contact and until now no reply. I really apologize to the winner who received an incomplete prizes, I feel her because I experienced the worst. I won in two giveaways but unfortunately I did not receive my prizes. I was so disappointed about the failed giveaway and because of that incident I declined two giveaways offer because I’m afraid that it will happen again. But then I realized that not all company are the same, I just need to make sure that the company and contact is really professional and legit. I have to remind myself “Don’t be too trusting!”. 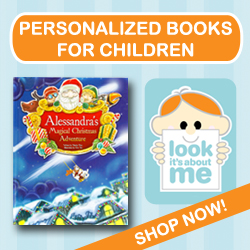 My last giveaway was good because after I sent the name and email of the winner, Abbey immediately sent the ebook. 4. Lastly, sharing my favorite blogging quote that I’ve posted in “Why I love being a Mom and Blogger” post “Don’t live to blog or blog to live, but live then blog”. Again, thank you for taking time out of your day to read my post and hope you stay. I’m nursing my son for three days now and I’m praying that he will be ok. As a mom, it hurts me to see that my son is sick and if only I can take his sickness, I will do it. It pains me because I can’t do anything, all I can do is to give him the medicine that he dislikes and to persuade him to drink milk and eat his food which is not easy. As I mentioned in my old post, we went to Max’s EDSA and we also visited my sister. My son was busy playing games in laptop and all of a sudden, he vomited. I have no idea why he vomited but I was already worried. He has no fever but he was not active. We decided to leave early so he can rest. Then last Monday, he had fever already, we can’t check the temperature because our ever reliable thermometer has no battery so we just went to the hospital. We went to different pedia because we can’t wait anymore till 2PM (his pedia’s schedule). I thought it was a flu but I checked the medical certificate again, it is acute bronchitis, according to drugs.com “Acute bronchitis is swelling and irritation in child’s air passages. The irritation may cause him to cough or have other breathing problems. Acute bronchitis often starts because of another illness, such as cold or the flu.” In addition it last for about two weeks and not a serious illness. Oh no, that is too long. Next check-up is on Monday. 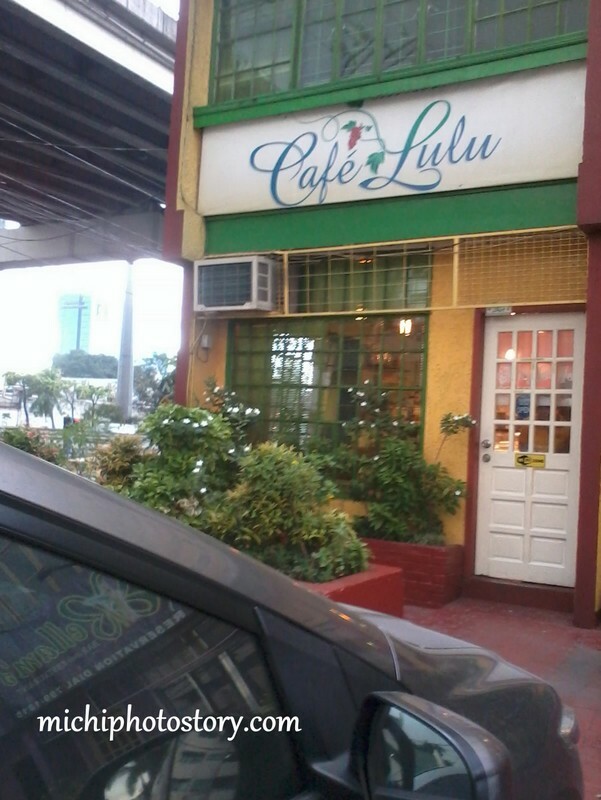 On our way home from Max’s EDSA Caloocan, my husband suggested eating at Café Lulu Restaurant and Deli for our early dinner. 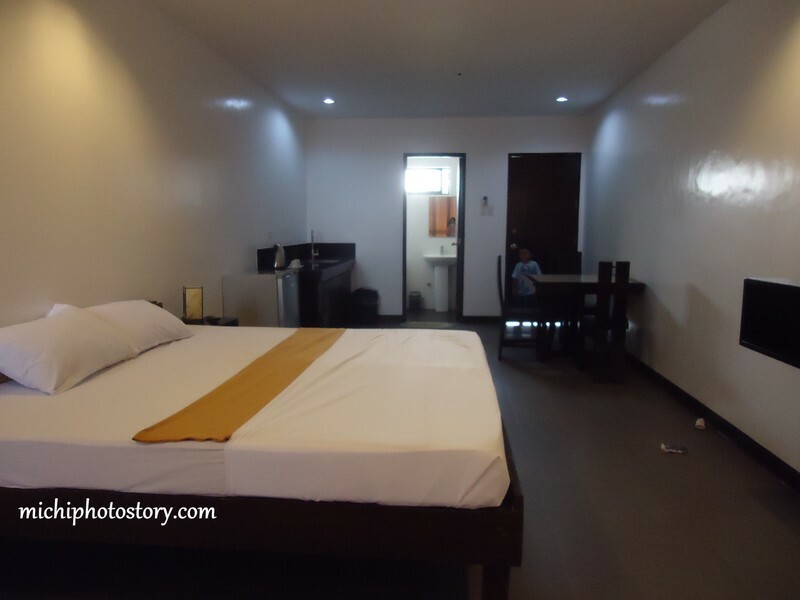 It is located in Bangkal, Makati City, right side going to SLEX. It is just a small modest restaurant. Café Lulu serves European dishes so when we’re browsing the menu we can’t decide which food to order because it’s hard to read and pronounce the dishes. Hehe! We just ordered the dishes that we know, Frankfurter Sausage, Tomato Pesto Pasta and Chicken Fingers. I forgot the exact price but it is neither cheap nor expensive. 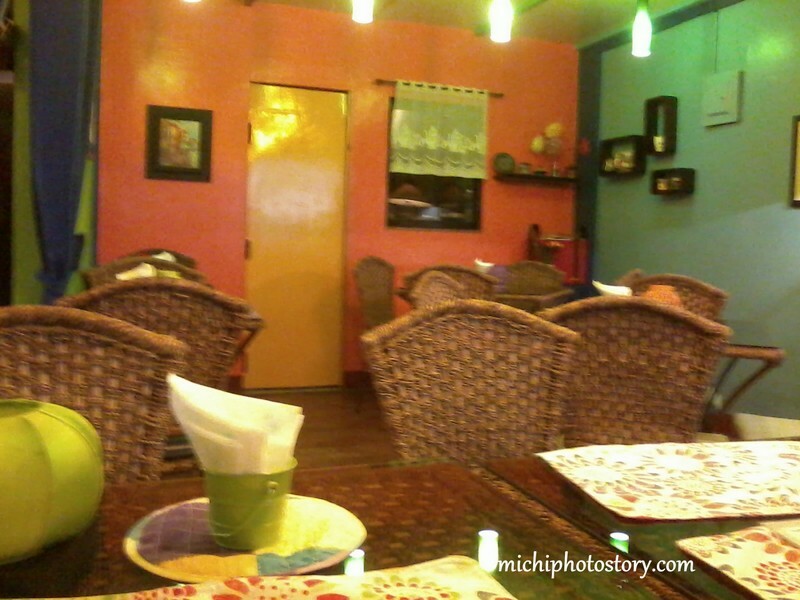 I love the place because it is not crowded and we’re the only customers inside the restaurant. The service is ok and the food is also good. 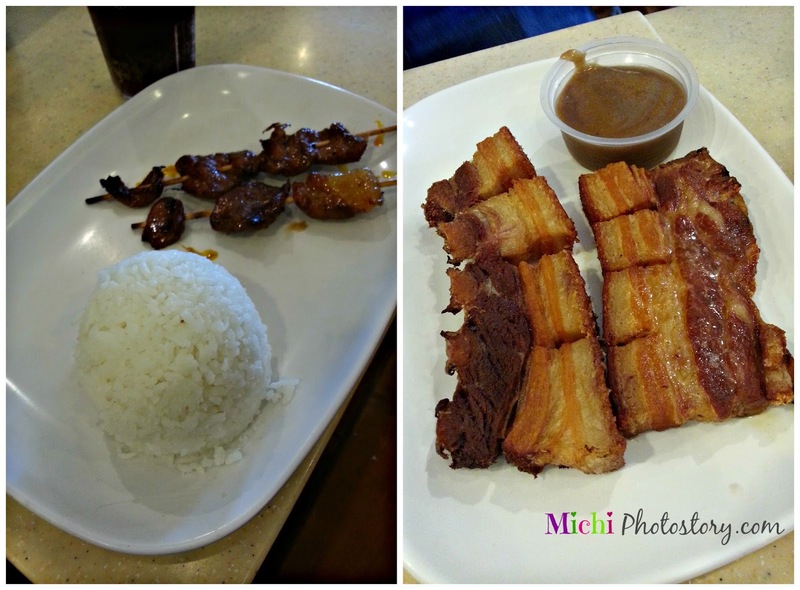 Max’s is one of our favorite Filipino restaurants because we’re satisfied with the food and price is very reasonable. That is why I chose Max’s for my son christening four years ago. 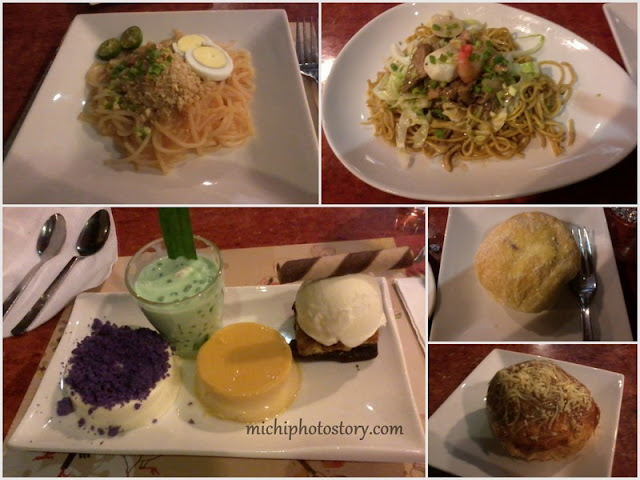 Last Saturday, I went all the way to Max’s EDSA Caloocan to book another event. My mom would be coming home next month and will be celebrating her birthday here in the Philippines. It’s been decades already since she celebrated her birthday with us so she decided to have a party. Thank God because the date and time were available so I immediately made a reservation. You have to pay 50% of the package amount in order to reserve the date. 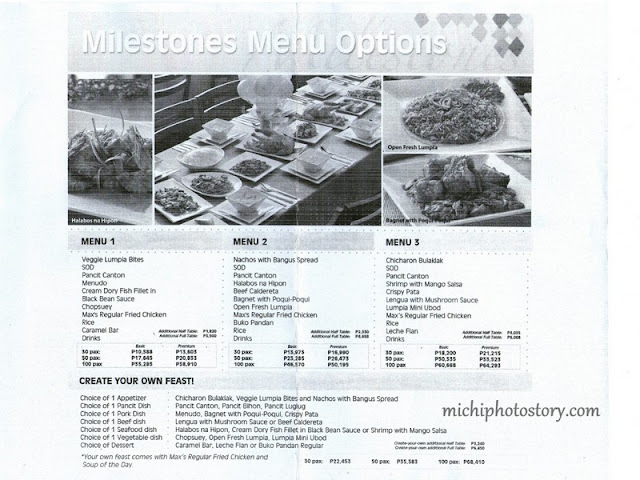 If you are planning to celebrate your milestone in Max’s, here is the package. 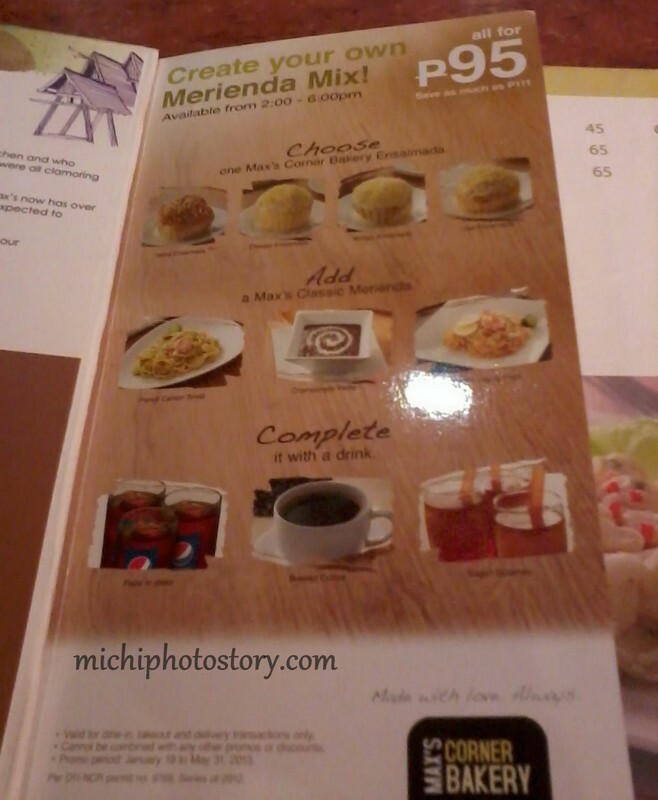 We also took advantage of the Max’s merienda mixes for P95 only. I also ordered Max’s dessert sampler for my son; he loves the brownie ala mode. I love reading inspirational books so when Abbey offered me to read an ebook; I did not have any second thought because this ebook are real life stories of bloggers. The first sets of books of Life Well Blogged are No Laughing Allowed, To Bliss and Back and Holly Daze: and I chose “To Bliss and Back”. I started reading this ebook without any expectations but I was hooked immediately and this is the reason why I have fewer posts on my blog because I’m busy laughing and reading this ebook. I love this ebook because it is real confession stories of different bloggers, both men and women. These bloggers are brave enough to share real life experiences that can inspire readers. 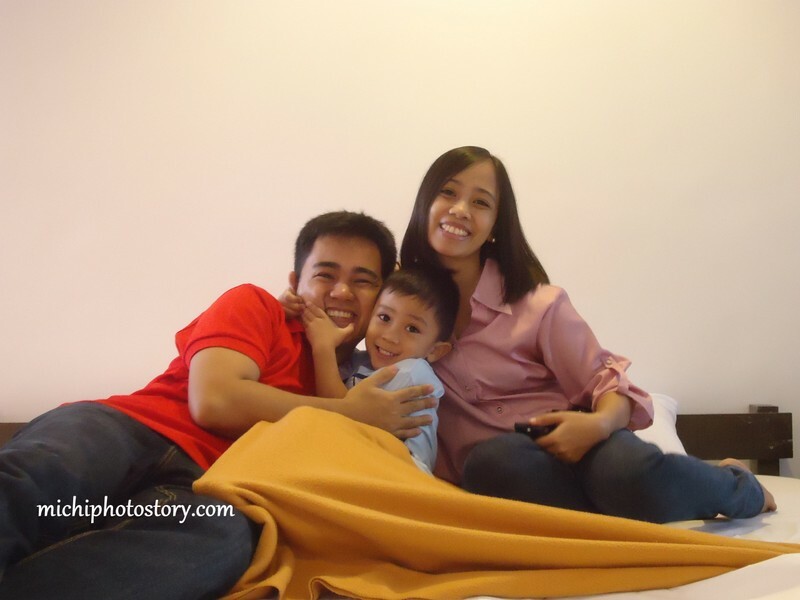 Stories that you can relate because it really happen in any couple and even single mom. It shows that you are not alone and there is no such thing as perfect marriage, perfect husband and perfect wife. 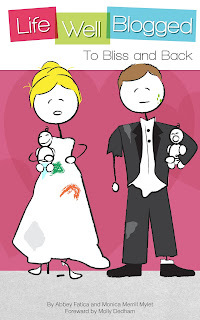 Marriage is indeed a process; don’t expect that you will stay on honeymoon stage because there are ups and downs. Be prepared because there are a lot of things that you will discover along the way. This ebook will not only make you laugh but there are marriage tips that may help you. I will be sharing some points or lines that I like. 1.Communication is really important but expects for communication breakdown and selective listening. 2.Things that you should teach your son “how to be a perfect man”. There are more lessons and tips that you can learn by reading this ebook. This is not only for married couples, whether you are single, dating, engaged, or divorced I’m pretty sure that you will enjoy the stories. 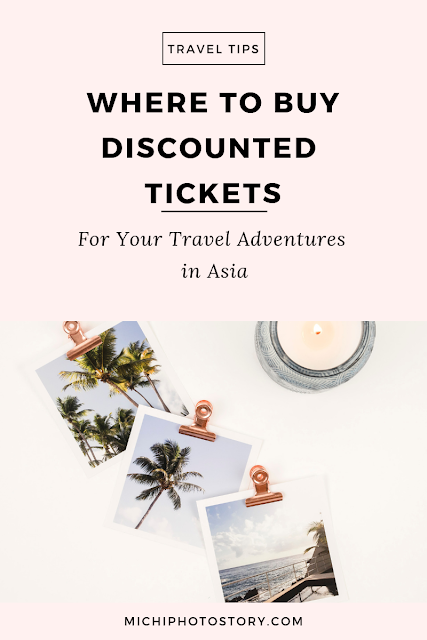 You can buy this ebook in Amazon, click here or you can join my giveaway and have a chance to win a copy of “To Bliss and Back” ebook. Ebook for Kindle or Nook but it can be read on computers as well. I don’t have Kindle and Nook and I was able to read the copy (bookmark it). Enter all your entries in rafflecopter. 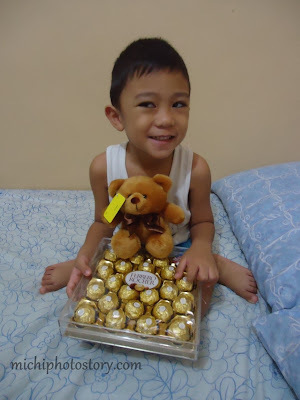 This giveaway is open worldwide and will end on February 8, 2012. 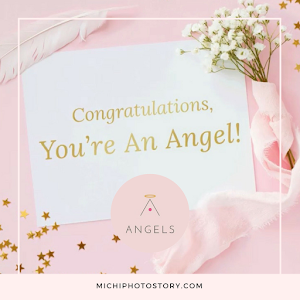 Michi Photostory is not compensated to host this giveaway and will not be responsible for sending the prize. Ebook will be sent by Life Well Blogged directly to the winner of the contest. Don't forget to leave your name, facebook name, twitter name and email address in the comment box. 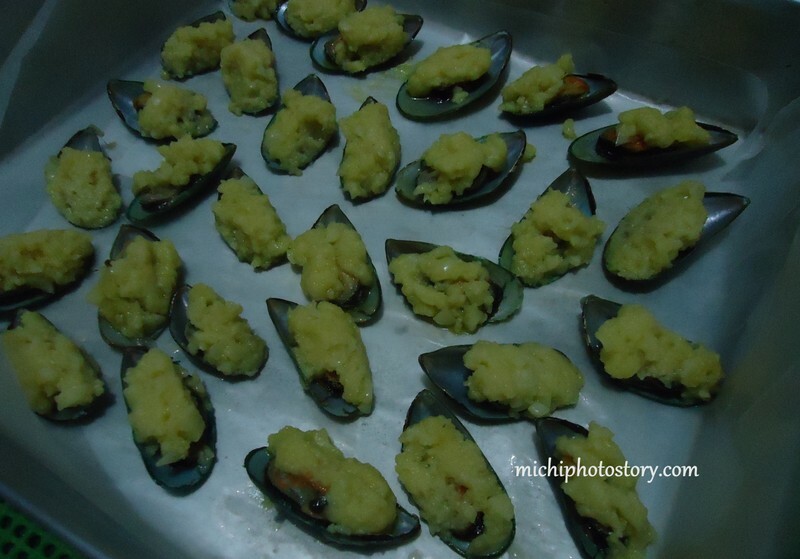 Mussel is one of the cheapest dishes that you can prepare at home so I don’t really understand why it is so expensive if you will eat this in the restaurant. 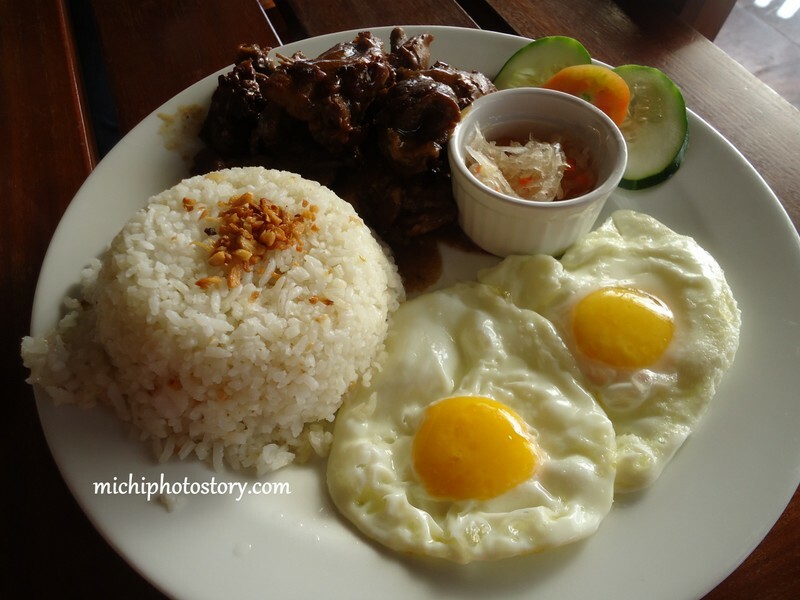 I rarely order this in the restaurant because of the price tapos bitin pa. 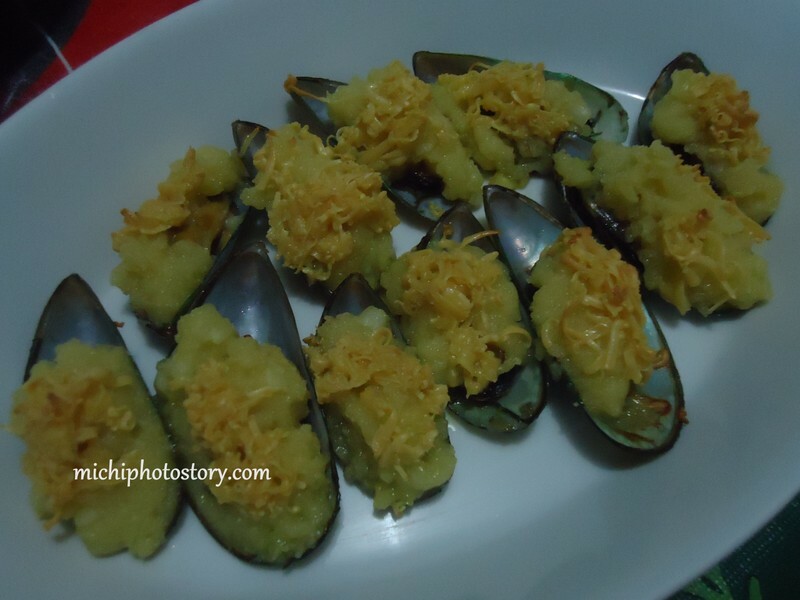 Yesterday, I made Baked Mussels and surprisingly my son love it. 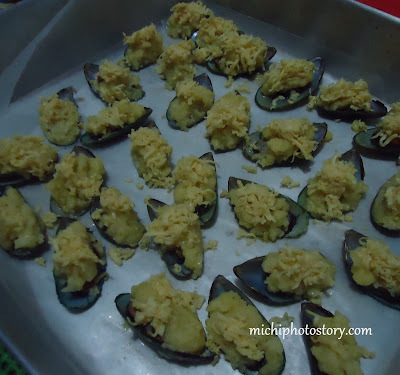 Sharing you the recipe from quickmelt cheese box. 1. Steam mussels until shells open. 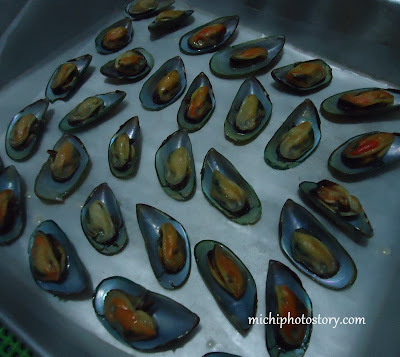 Remove and discard empty shell and arrange on baking tray. 2. In a saucepan, melt butter and sauté garlic. Add flour and mix well. Stir in stock and milk and season with salt and pepper. Remove from heat when mixture thickens lightly. 3. Spoon white sauce onto mussels. 5. Bake at 350F until cheese melts. Garnish with chopped parsley.